Along with mouth watering food and tempting drinks, we bring fun, friendliness and an extra large helping of good vibes to the table. It's what makes every day seem like Friday. From our signature loaded skins to our legendary Jack Daniels sauce, we take real American flavours and make them different. These undeniably tasty and original flavours are at the heart of everything we do, and our unique and extensive menu is exactly why you might call us the home of the daredevil. What are Fridays all about? Celebration and fun, of course! And with our tempting food, dreamy cocktails and infectious buzz, we’ve got all the ingredients for fun right here. 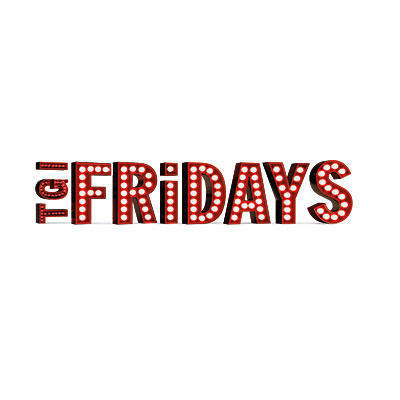 Join us any day of the week and we guarantee that you will get the full Fridays experience!